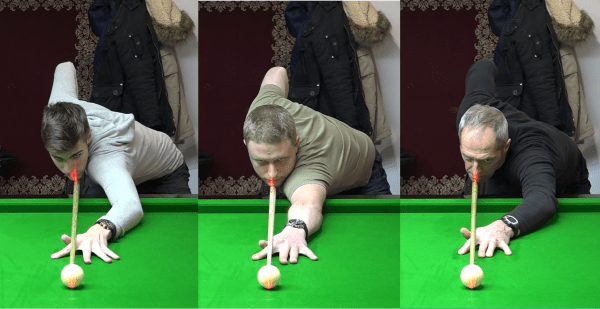 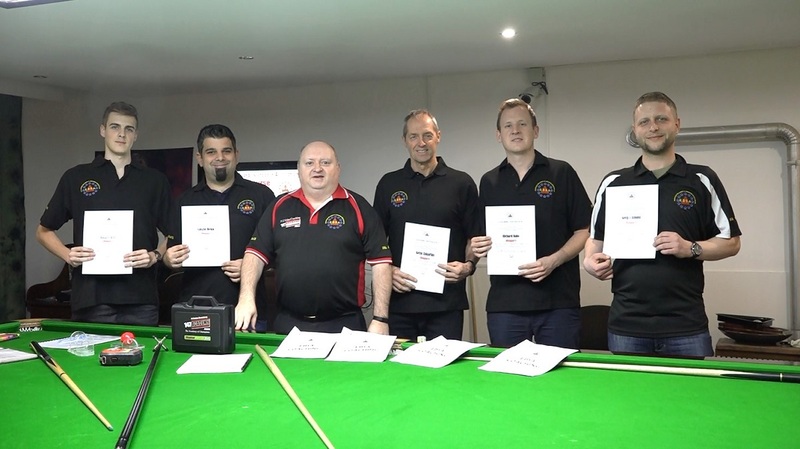 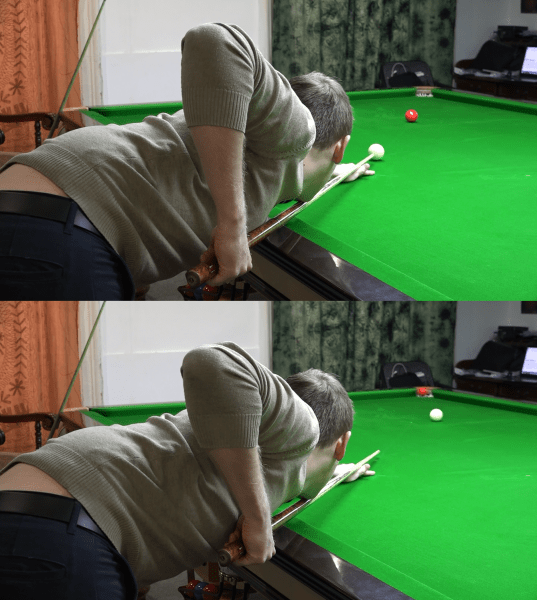 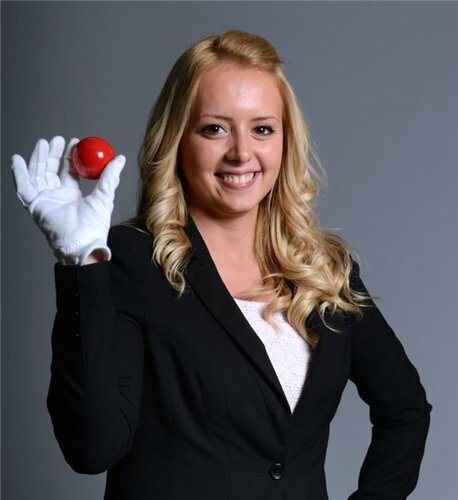 The European Billiards & Snooker Association held an Official EBSA Snooker Coaching Course in Budapest Hungary to train five new coaches on behalf of the Hungarian Snooker Association with EBSA head of Coaching PJ Nolan on the 21st – 24th of January 2019. 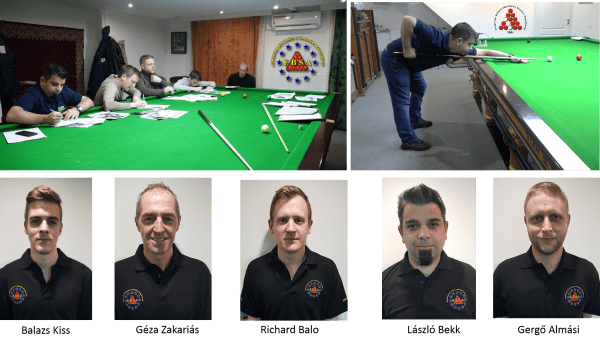 This EBSA Coaching Course is only open to recognised coaches who are approved by their own National Governing Body and the Hungarian Snooker Association nominated Géza Zakariás, László Bekk, Balazs Kiss, Richard Balo and Gergő Almási to attend this training course which was held in the beautiful private room which is owned by Association President Peter Varga. 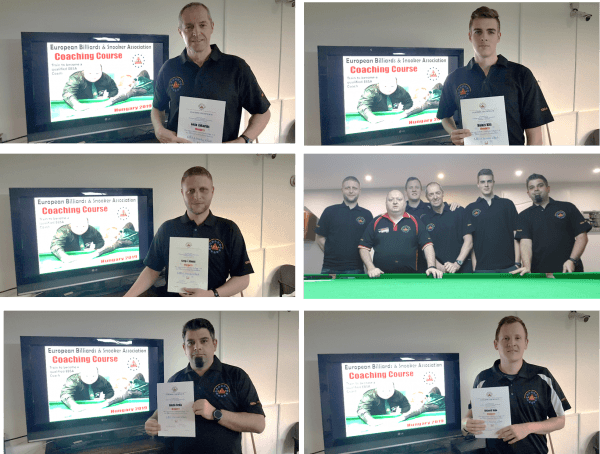 PJ said ” It was an honour to give another course in Hungary to train and qualify five more Hungarian coaches. 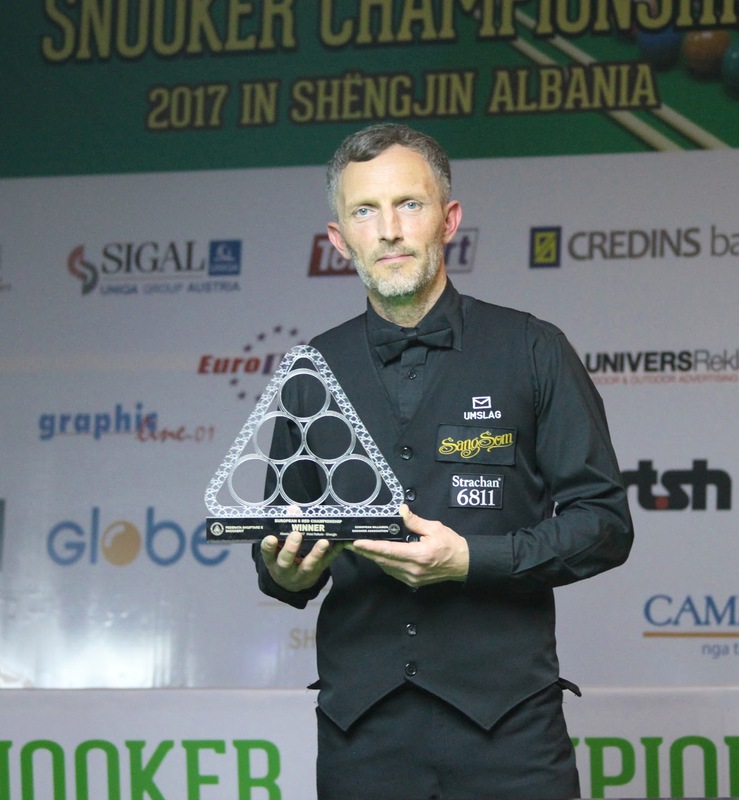 All five are passionate about the game and I hope the new structure will help the coaches promote the game more in Hungary. 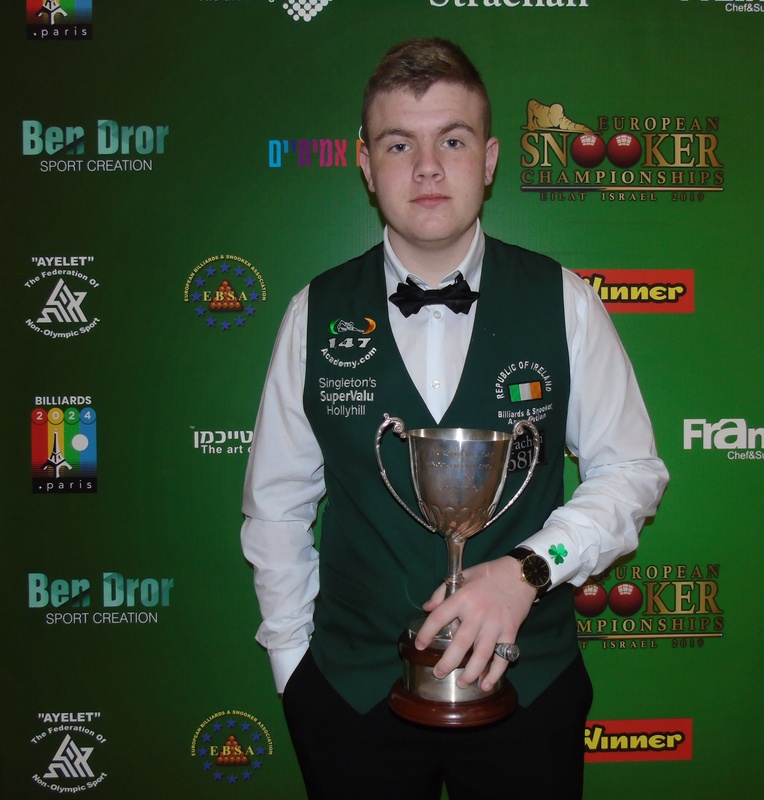 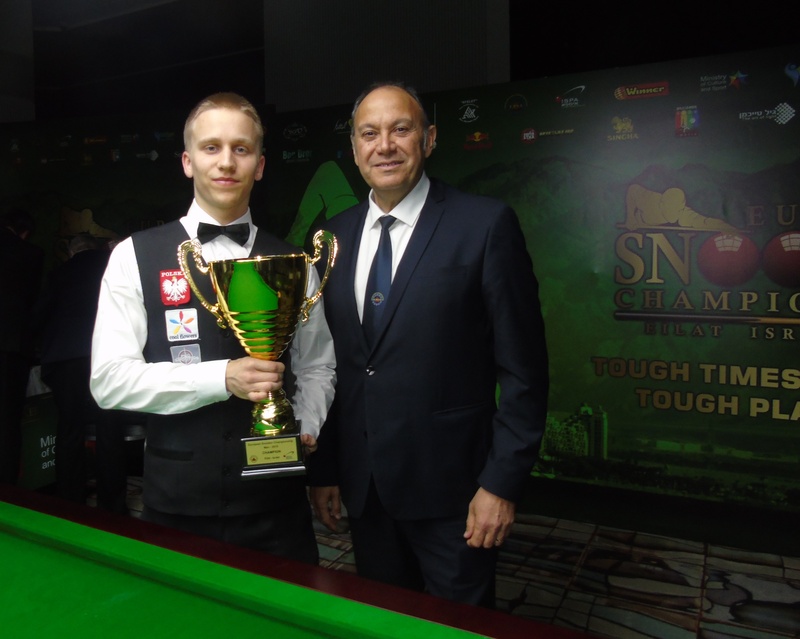 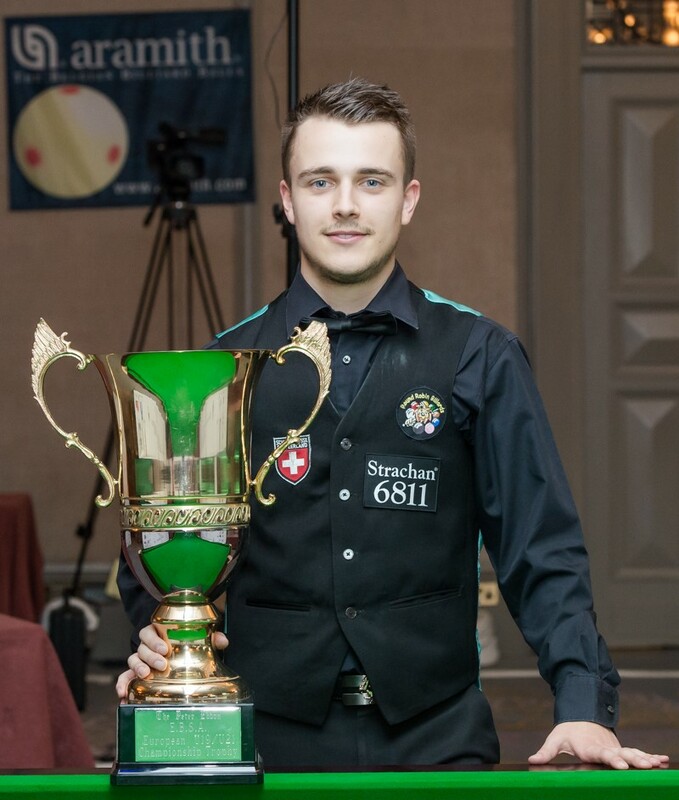 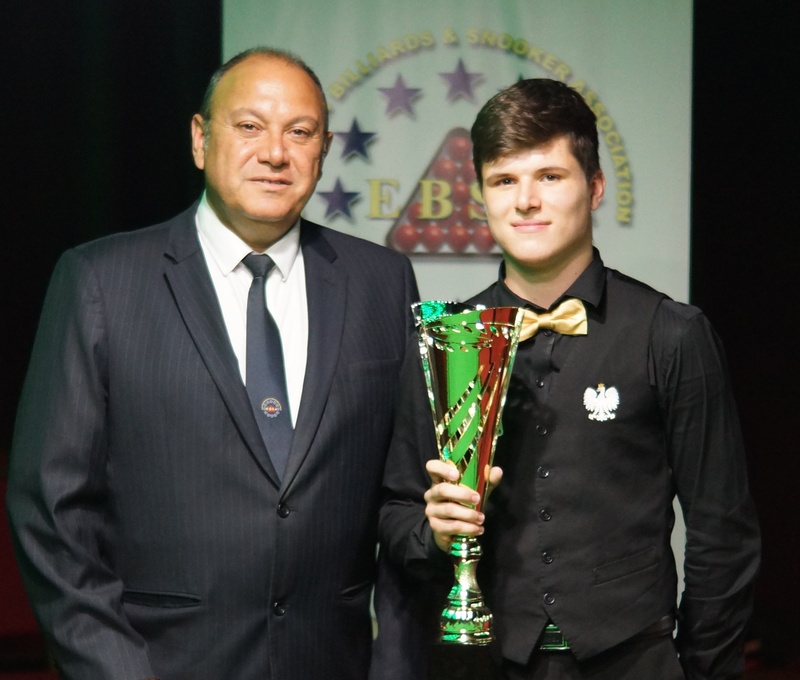 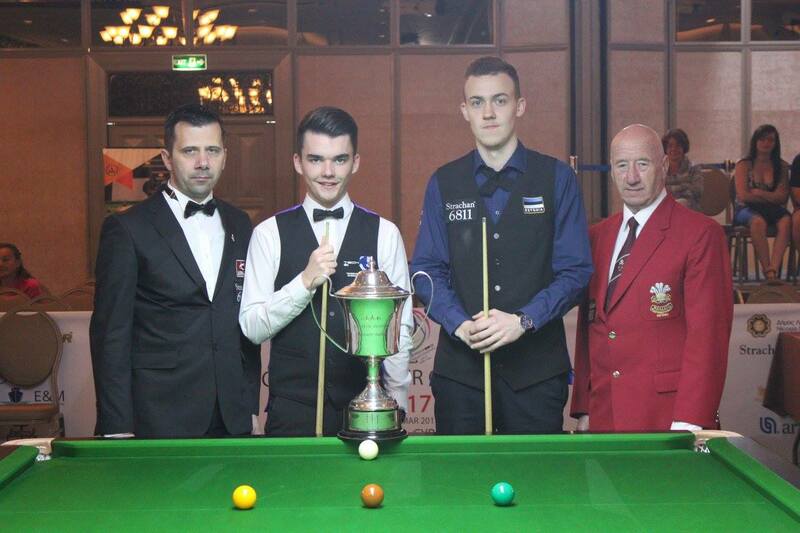 Top Hungarian Junior player Balazs Kiss becomes the youngest EBSA Coach so the future is looking good ‘’. 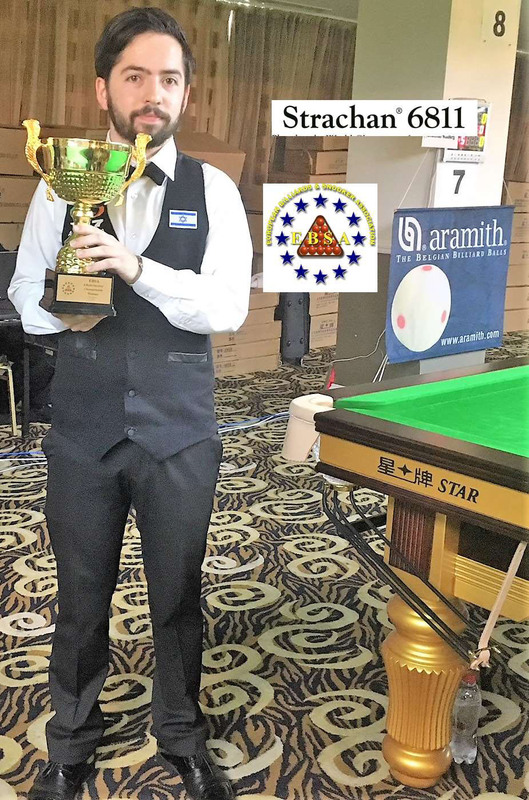 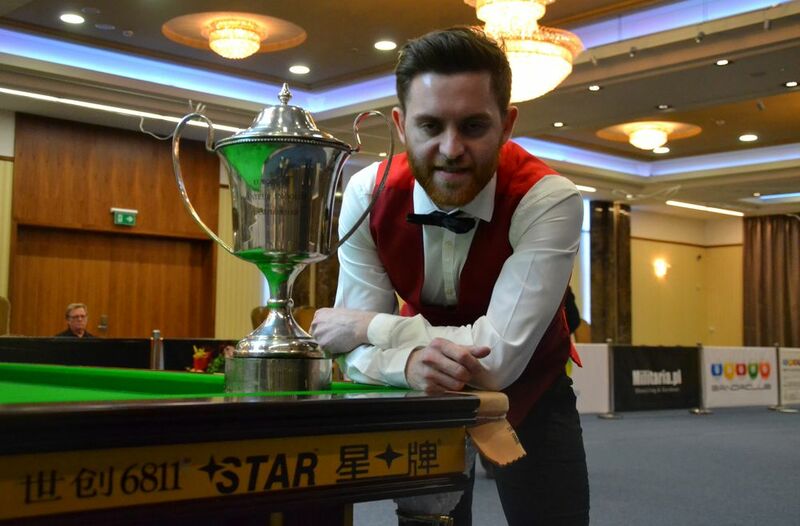 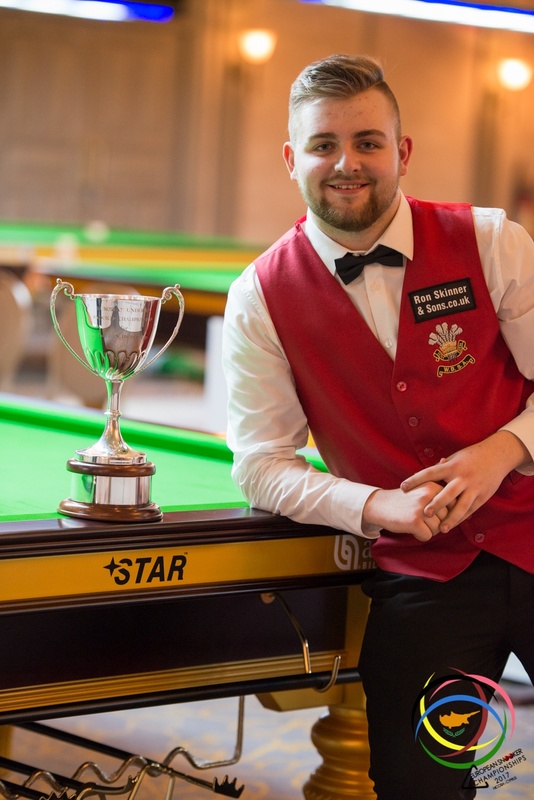 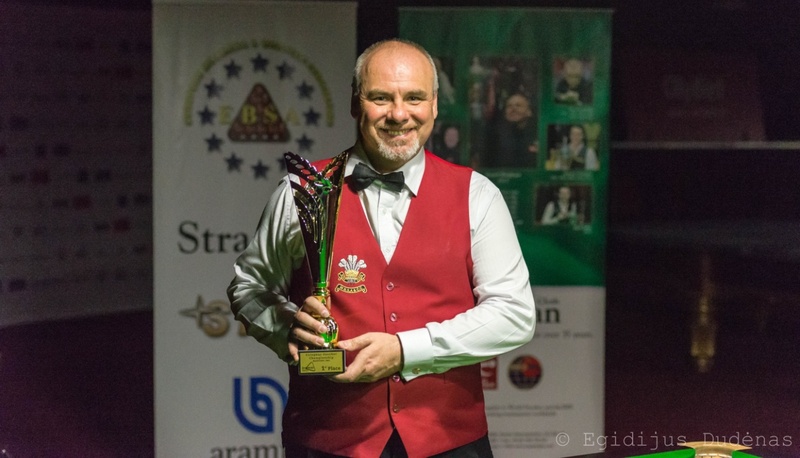 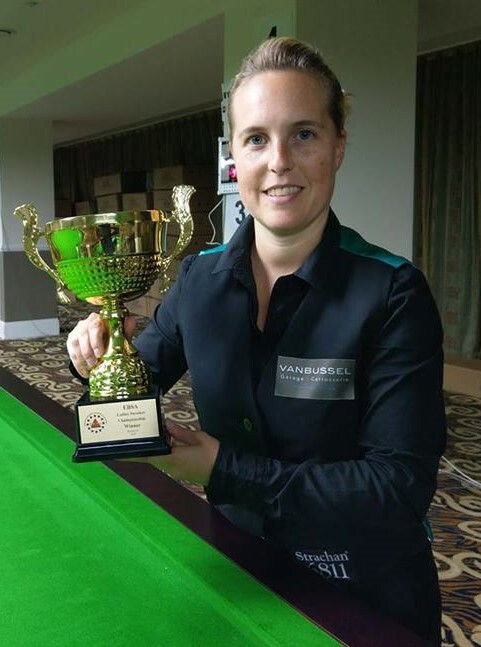 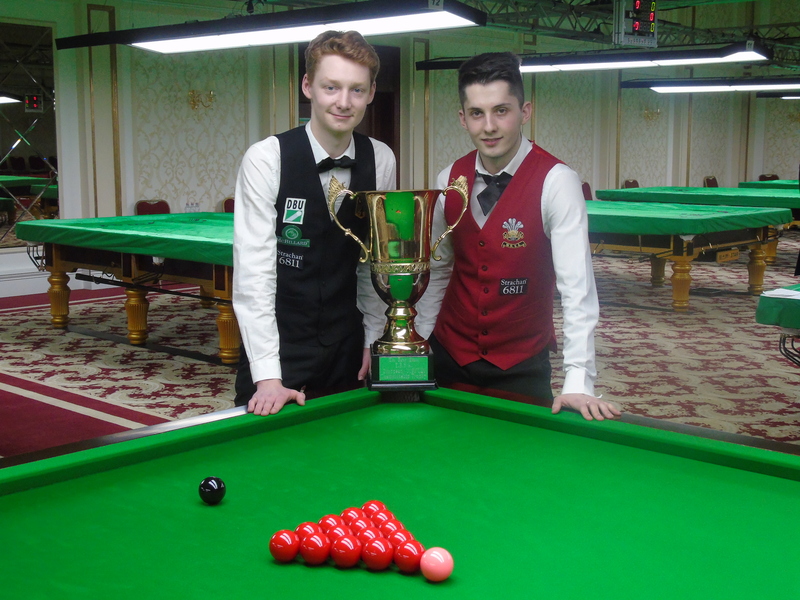 Hungarian Snooker president Peter Varga said ‘’ He was delighted to have PJ back in Hungary holding this EBSA course and he hopes it raises the standard of the game here in Hungary “. 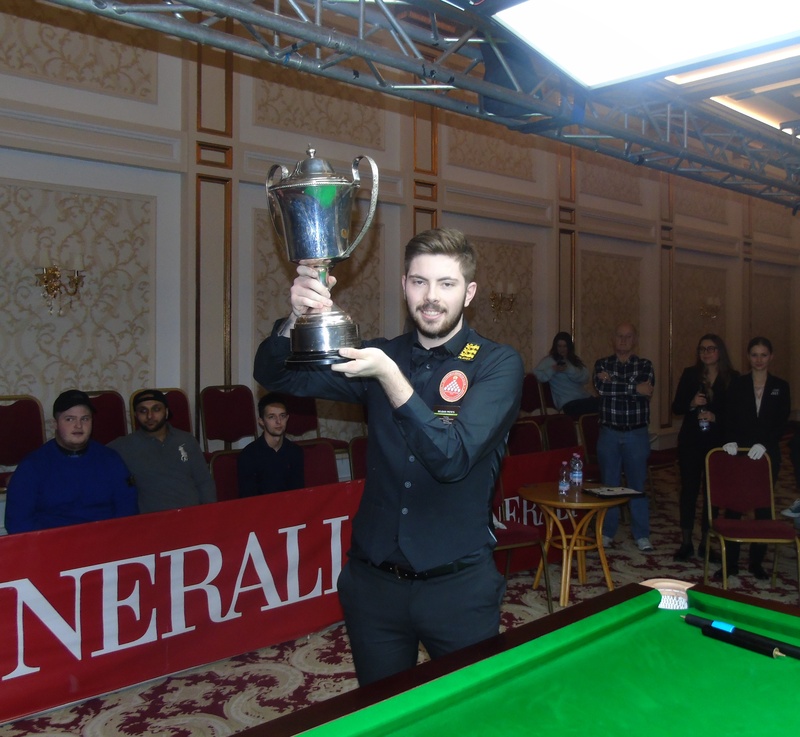 Gergő Almási ‘’ said he was delighted with the content on the course and we now have a great structure to build up the game and he thanked PJ for coming “.